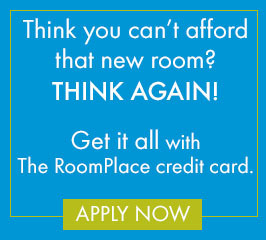 The RoomPlace is coming to Carmel, IN! If you’re shopping for new furniture in Indiana, today’s your lucky day. This weekend, The RoomPlace will open our 21st furniture store in Carmel, IN! With 20 other locations throughout Chicagoland and Indiana, The RoomPlace is beyond excited about the upcoming grand opening of our Carmel furniture store at 14640 North US 31. With close proximity to important community institutions like the Washington Township Trustee as well as a wide array of exciting dining and shopping opportunities, The RoomPlace’s Carmel storefront will provide an easily accessible furniture-buying experience for local Indiana residents. The official ribbon cutting for our brand-new Carmel store will take place on Friday, May 24, just in time for the long Memorial Day weekend – giving you plenty of opportunity to stop by and check out our extensive selection of bedroom, dining room and living room furniture. Out of town for Memorial Day? Don’t worry; our new furniture store will offer extended hours for the convenience of our busy Indiana furniture customers. Stop by anytime between 10am and 9pm Monday through Saturday, or between 11am and 6pm on Sundays to find that perfect leather sofa or king mattress for your Carmel home. The friendly professionals at The RoomPlace will be more than happy to help you with any of your Indiana furniture needs. It’s been an exciting couple of months for The RoomPlace team, with our 20th store opening in late March in McHenry, IL. Since the ribbon-cutting ceremony on Friday, March 22, our McHenry furniture store has enjoyed growing popularity, including live coverage about spring decorating trends by Chicagonista. This popular local media outlet collaborates with Chicagoans from all across the city to bring you the latest dish on hot spots and community events you don’t want to miss out on. The RoomPlace is certainly proud that our McHenry furniture store made the Chicagonista list of must-sees, and we can only hope that our Carmel furniture store will enjoy similar success! 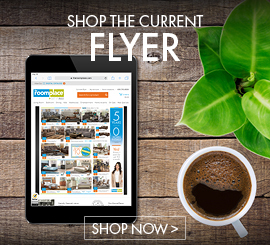 Anxious to get your furniture shopping on and just can’t wait another minute? Feel free to visit any of our nearby Indiana furniture stores, with two locations in Indianapolis and one in Merrillville. Otherwise, the whole team here at The RoomPlace would like to extend a warm welcome to come see us this weekend at the grand opening of our new Carmel furniture store.